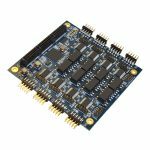 The SMT105 is a Virtex-5 FPGA-based processor module available in the PCI/104-Express form factor. 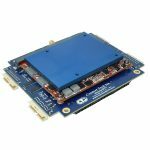 The FPGA is available as FX100T-1, FX100T-2 or FX100T-3. 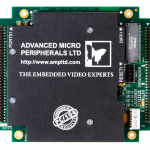 The SMT004 is a PCI Express adaptor for PCI104e boards. 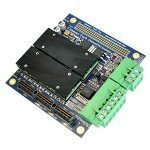 With this card you can develop and debug your PCI104e system in a desktop PC with all your normal programs and tools.